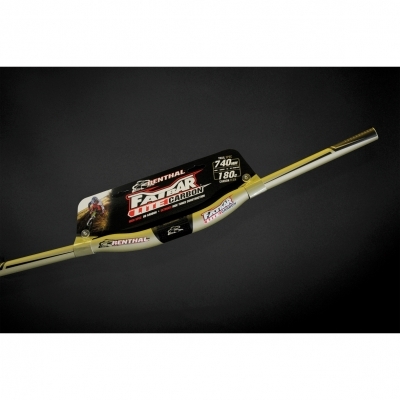 The Fatbar Lite Carbon is the ultimate light-weight, trail-proof handlebar. Designed for Trail, Enduro and XC riders and racers, the Fatbar Lite Carbon is the clear market leader in terms of weight, strength, stiffness and most importantly, 'ride-feel'. An extensive R&D process ensures the Fatbar Lite Carbon feels like a Renthal handlebar, whilst retaining the strength and durability of a Renthal handlebar. All this is achieved at the market leading light weight of just 180g, at 740mm width. 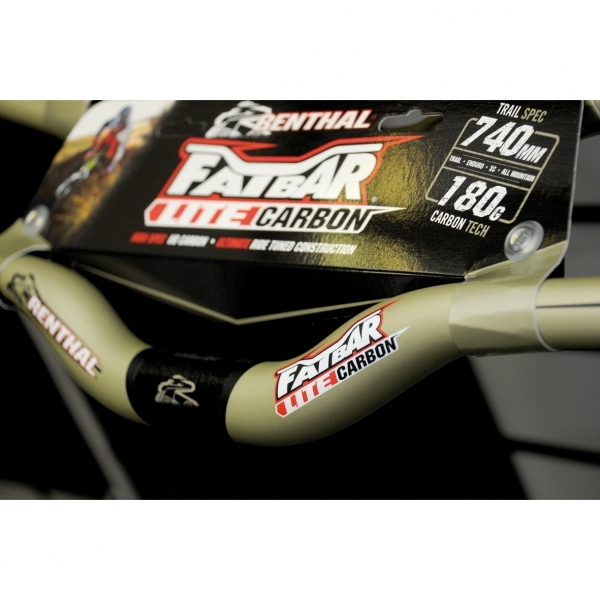 The Renthal Fatbar Lite Carbon is a clear market leader in weight, strength, stiffness and most importantly, ride-feel. An intense and in-depth research and development program ensured this ultra-light Fatbar Lite Carbon feels like a Renthal handlebar and retains the strength and durability of a Renthal handlebar. The resulting ride-tuned handlebar combines the ultimate blend of stiffness and shock absorption. This is achieved with a full 740mm trail width and at a market leading 180g weight. The Renthal Fatbar Lite Carbon is the lightest trail-proof handlebar, with the ultimate ride-feel. Renthal Fatbar Lite handlebars are designed to ride faster, jump further and last longer. • High strength UD Carbon construction. • Optimised carbon lay-up, for ultimate control and comfort. • Positioning grid for easy set up. • Anti-slip central surface treatment. • Width marks allow personalised fit adjustment. • Impact tested to BMX standard - EN16054.